All search engines like Google, Yahoo, Bing love to index original contents only. Here’s what I mean by original contents is no copy paste. Some bloggers or webmasters copy whole articles or post and paste to their own website but this is not a good idea, if someone really wants to their website on the top the person should create their own contents. Because including all major search engines hate to index duplicate contents. Past few months ago you felt gravity on your laptop PC, which was Google gravity, then did some barrel roll and last month it was snow fall on your PC screen. I am talking about the "Google Easter eggs". Here I am giving some ten awesome tricks to do with Google search. These are not search feature of Google to enhance the search but it’s like doing something to getting out from the coding stress. 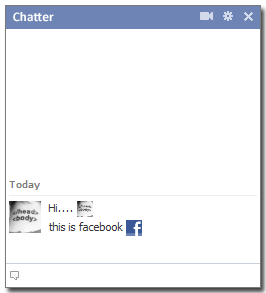 If you are looking to do something new with facebook chat so this is a cool trick to do with facebook chat smiley (emotions). Now facebook allow us to use our profile picture as chat smiley. This is so good because all of us are fed up with old traditional chat emotions (smiley). You can put your profile picture, your friends profile picture or someone else like facebook pages profile picture as your smiley.